Most of us have big goals that we want to accomplish. Whether it centers on our personal or professional lives, a goal can give us purpose and a sense of urgency. The goal signals our willingness to improve and to get closer to a life that we really want to live. One goal that is common among many people is learning a foreign language. There are many instances of when you would want to learn a different language. You may want to make yourself more marketable in your line of work. You may want to learn another language just to fulfill a long-held curiosity. Or you may want to learn a foreign language to impress a special someone in your life. Whatever the case may be, you may think that learning a foreign language is easier than ever due to the power and scale of the internet. This is true to some extent. While there are many resources to learn a language online, most of these resources simply don’t do the job. Either they are not user-friendly or they do not provide enough substantive content for you to adequately learn your chosen language. If you are looking for the best way to learn a language online, you need to choose wisely. In order to help you find the right place to start, we created a list of the best online language courses we could find on the Internet. These websites will help you learn a foreign language really quickly and efficiently. But bear in mind that these resources are here only to help you, but the hard work of studying is still on you. Before we begin, one caveat. As always, the following list of the best language learning websites is not ordered by rank or preference. Rather, the list simply contains five of our favorite online language classes that you can use right away. Lingq is a web and mobile app that is one of the best ways to learn a language online. Some of the languages that you can learn include French, Spanish, Japanese, Chinese, and German. Lingq includes a bevy of features like the ability to look up and save words and phrases for review at a later time, to read and listen to thousands of hours of media (podcasts, audiobooks, interviews, and even recipes) in the language, and joining live conversations with native speakers. Ultimately, Lingq prides itself on the ability for users to learn a foreign language by reviewing interesting, real content in your new language. You can even import content into Lingq and translate that content into English in real-time, which can ultimately allow you to learn the language by reviewing fun, interesting content. Some of the content you can import includes blog posts and even Facebook messages. To get started using Lingq, you simply create an account on the Lingq web app or mobile app (for either iPhone or Android). You then select the language you want to learn and proceed from there. In addition to its ease of use, Lingq also prides itself on its sense of community. Users can join live conversations or seek assistance on the Lingq blog and forum. Fluentu is a platform that helps you learn a new language by predominantly viewing videos. Specifically, Fluentu collects real-world video content and uses that content to help students learn that language. Some of the videos that Fluentu collects and shares include movie trailers, music videos, news, and inspiring talks. When a user accesses a video, they will see interactive captions (all subtitled and translated) that can help you quickly learn the language. Ultimately, Fluentu helps users learn foreign words from a real-world context. Some of the languages that students can learn include Chinese, Spanish, French, German, Japanese, Italian, and Korean. You can access Fluentu at its website or on Apple and Android devices. Users can even download audio dialogues for offline listening. Learn a Language is a no-frills website that lets students quickly and efficiently learn a new language. 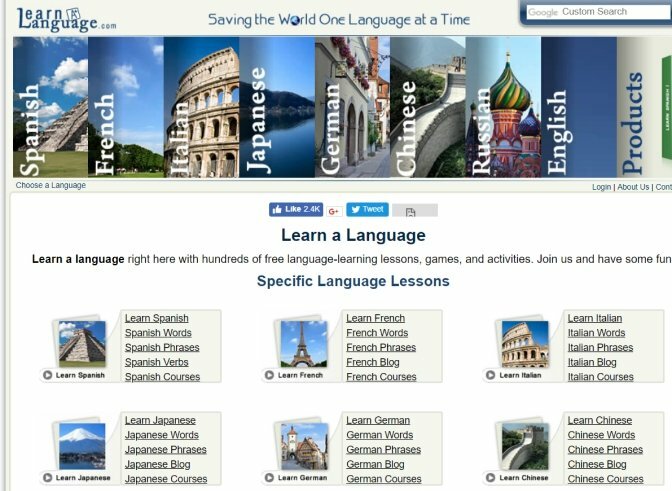 Upon visiting Learn a Language’s website, you will discover that you can learn 19 languages, including Spanish, French, Italian, Japanese, German, Chinese, Russian, and even Latin. When you select a language, you will easily be able to learn new phrases, words, and even cultural aspects of your new language. Some other things that students can learn include greetings, survival expressions, slang words, and over 350 verbs. Learn a Language also prides itself on its interactive audio/visual Learning Lounge, which allows you to play an addictive Lingo Dingo game to learn the language. Unlike some of the other options on this list, Learn a Language can only be used in your browser. All of the content is completely free to use and new content is uploaded every week. Busuu is another language learning course that is available on Android, iPhone, and as a web app. Over 90 million individuals use Busuu and they learn languages like German, French, Italian, Turkish, Polish, Chinese, Japanese, and Portuguese. 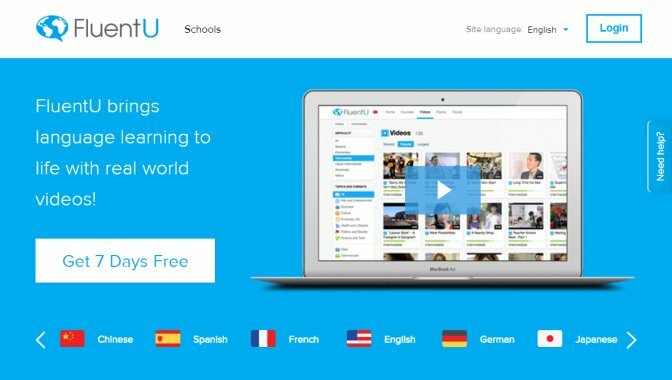 Busuu users learn their new language by reviewing over 1000 lessons that have been created by language experts leveraging machine learning technology. That said, compared to other platforms, Busuu offers the extra benefit of allowing students to receive instant feedback from native speakers. Finally, Busuu prides itself on its convenience. Students can begin learning a new language on their phone and then continue on their desktop, or vice versa. Finally, Live Lingua describes itself as “The World’s First Total Immersion Language School Online.” Users can learn over 130 languages with Live Lingua’s free online ebook and audio courses. 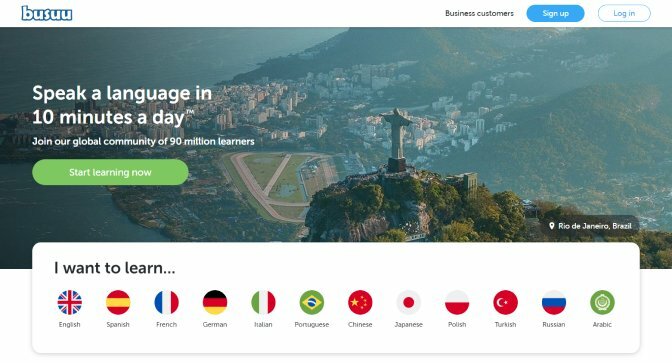 Along with these resources, Live Lingua users can leverage Skype lessons in eleven widely-spoken languages, including Spanish, French, German, Italian, Portuguese, Russian and Arabic. Live Lingua also prides itself on its personalized attention. Compared to other language courses or companies, Live Lingua takes on fewer learners but gives more attention to them through Skype language lessons. Live Lingua has over 16,000 satisfied students and nearly 150,000 hours of lessons that have been delivered. By using one of the above language learning courses, you will be on a great path to learning and mastering your language of choice. No matter what, it will require hard work from you. But having said that, leveraging any of these free online language classes can help you make great strides in your quest to learn a foreign language. If you are using any of these five tools and want to save some of your lessons for later, we would also recommend that you check out Screen Recorder. 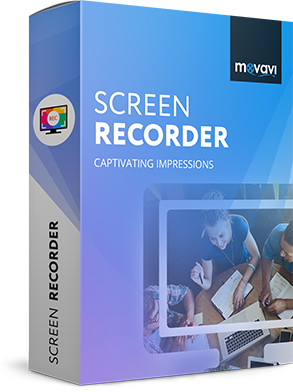 Created by Movavi, Screen Recorder allows you to capture online videos and even create your own original videos. To learn more about how Screen Recorder can help you learn your next language, feel free to visit Screen Recorder’s page.